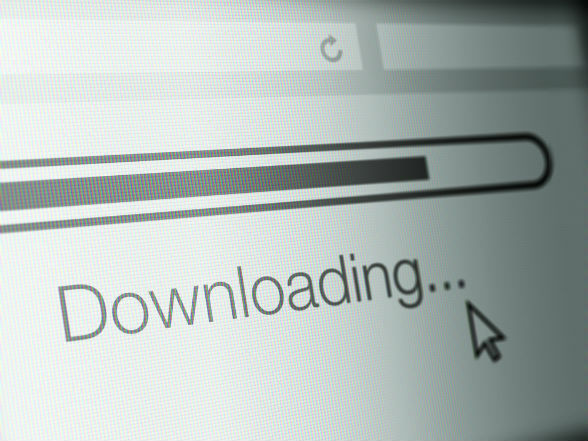 While torrenting is an extremely efficient and fast way to download large files, doing it safely and securely can be problematic. Unfortunately, torrenting has become somewhat synonymous with internet piracy; and internet service providers (ISPs) and government authorities are all over it. Thankfully, this doesn’t have to spell the end of torrenting for you. In fact, you can keep torrenting safely and anonymously - and even improve the overall experience - by using a VPN. But how do you choose a torrent VPN? And which are the best ones around? Read on and we'll answer your questions about torrenting. Torrenting itself is perfectly legal. And there is nothing at all wrong or illegal in sharing files with other users via torrents, either. The problem only arises if you use torrents to share (such as with Peer-to-Peer sharing) and download copyrighted files - movies, music and software, for instance - without getting the copyright owner’s permission. To put it in context, the creators of software such as OpenOffice and VLC player have made their products available to the general public free of charge. This means downloading them via a torrenting site is completely legitimate. On the other hand, the owners of The Beatles’ discography have made it available only if you purchase it, so downloading it for free via a torrenting site is against the law. Unfortunately, because it’s used to break the law in this way, torrenting has gained a bad reputation. Many ISPs monitor torrenting websites; and some may throttle your connection or block you altogether if you try to log on to them - even if your intentions are completely legitimate. This is why using a VPN for torrenting is such a great idea. A VPN encrypts your data transfers and hides your IP address, replacing it with an anonymous one. This makes it impossible for your ISP to know what you’re doing online. What’s more, by connecting to a VPN server, you’ll be able to bypass both speed and content restrictions imposed by your location and your ISP. As a result, you’ll be able to access more content and download it much faster, improving your overall experience. There are three main things you should look out for if you plan on using a VPN for torrenting: privacy, server availability and speed. Let’s consider each in turn. Of course, the best VPNs for torrenting will have even more advanced features. Some even have a kill switch, which drops your connection should the VPN come across issues that could compromise your privacy. The more servers a VPN service has, the better, for two reasons. Firstly, having a large number of servers ensures you can always find a server with a reasonably low load, even during peak times. This, in turn, means you can carry on with your downloads throughout the day, without having to worry about running into performance issues. Secondly, the more servers a VPN has in different countries, the easier it is to unblock geographically restricted content. As a plus, you can also take your VPN with you when you travel, safe in the knowledge that you’ll always find a fast server nearby. Of course, if you’re downloading files, speed is paramount. Look for VPNs with no bandwidth restrictions, no speed caps, and premium servers that are continually monitored to ensure optimal performance. Some VPNs also have special add-ons designed to boost your internet connection speed, as well as other features tailored specifically for torrenting. Port forwarding, for instance, allows you to open special pathways - called ports - specifically for torrent traffic, further improving your internet speed. Now that you know what to look out for in a torrent VPN, here’s our list of the top 5 VPNs on the market today and why we think they’re the best. ExpressVPN is one of the best VPNs you can use for torrenting. Based in the British Virgin Islands, which has no usage logging or data retention requirements, it boasts a firm no logging policy as well as more than 15,000 completely anonymous IP addresses. You’ll also get access to more than 120 lightning-fast servers in 78 countries, as well as advanced features such as port forwarding and a kill-switch to secure your anonymity should the VPN connection drop for some reason. Based in Panama, NordVPN has a strict no logging policy and one of the strongest encryption levels around - a whopping 2048-bit, SSL-based encryption via OpenVPN. It also allows you to use Tor over VPN, which allows for a further layer of security and anonymity. NordVPN’s super-fast servers cover every continent except Antarctica. You’ll also get an automatic kill-switch that instantly shuts down your torrenting activity should your VPN connection hit a snag. CyberGhost offers one of the most complete VPN services that puts your privacy at the forefront. Some of the privacy features it offers is an automatic kill switch to prevent unencrypted traffic sent your way, DNS and IP leak protection, a strict no-longs policy, military-grade encryption, and multiple secure protocols. CyberGhost believes that you have a right to digital privacy and does all it can to deliver. PureVPN is an excellent choice for torrenting because of its torrent-specific features. Not only does it expressly support torrenting, it also has a Peer-to-Peer file-sharing mode. This has streamlined settings for optimum speed, performance and privacy while torrenting. Of course, using PureVPN means you’ll have access to more than 500 servers across the globe, as well as 80,000 completely anonymous IP addresses. HotSpot Shield focuses on offering private and secure web browsing to all customers, no matter where they are in the world. Some of the ways it protects your browsing and privacy is through encryption, hiding your IP address, and enables anonymous web browsing. Those using a VPN for torrenting can rest assured that Hotspot Shield will secure their online privacy. And now that you know it’s safe and legal, aren’t you ready to get started? Check out our in-depth, expert reviews to learn more and pick your favorite.